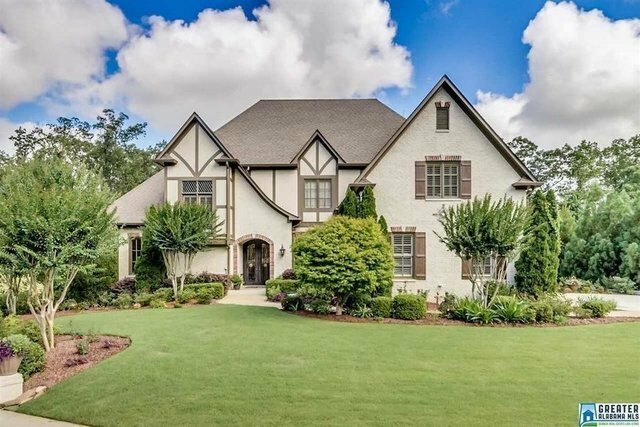 Stunningly beautiful home overlooking the 13th tee of Greystone Legacy with approximately 7429 +/- square feet of exceptional living space.The inviting foyer opens to the banquet sized dining room and living room with fireplace and wet bar. The kitchen is open to a large eating area and keeping room with vaulted ceiling and fireplace. The kitchen features beautiful cabinets, large island with black granite countertops, Bosch 5 burner gas cooktop, compactor, Kitchen Aid dishwasher and convection oven/microwave with warming drawer. built-in refrigerator. The kitchen area opens to screened porch and deck. Laundry room next to kitchen. King size master bedroom has His and Her baths. Main level includes a half bath and paneled office/study.The upper level has four extra-large bedrooms with private baths. a bonus room or 7th bedroom and laundry. The sunny daylight basement offers a huge playroom, kitchenette, bedroom, 7th bath, and media room with outside patios.